This is not a crash test. 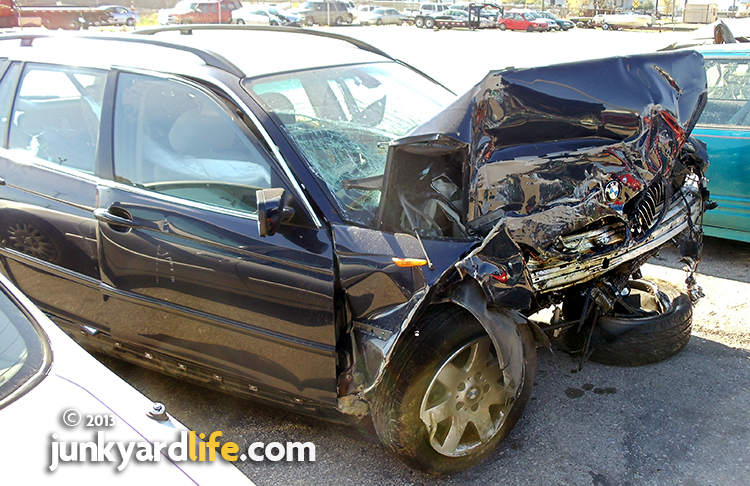 Gazing at the remains of a totaled 2003 BMW 325i sport wagon were a quick reminder of the hazards of road travel. A similar BMW sedan received a "Good" rating by the Insurance Institute for Highway Safety (IIHS) in 40 mph frontal offset crash test into a deformable barrier. The driver of this Beemer had little room to maneuver inside the cockpit after this crash. Blood drops on the airbags are a not so subtle reminder to buckle up and be prepared for the worst the highway can hurl at you. Who wouldn't buy the safest car in the world, if they could? If money were no object, would you choose German engineering? Or is bigger better? Drivers of 6,400-lb H2 Hummers are safe but what if that H2 has a head-on collision with a 20,000-lb dump truck? Sorry, size does matter, the dump truck keeps rolling, long after the Hummer became an "unfashionable" statement. Crash test ratings and comparisons measure results of controlled automotive chaos. However, millions of vehicles on the roads offer millions of different variables and scenarios beyond the scope of controlled crash tests. 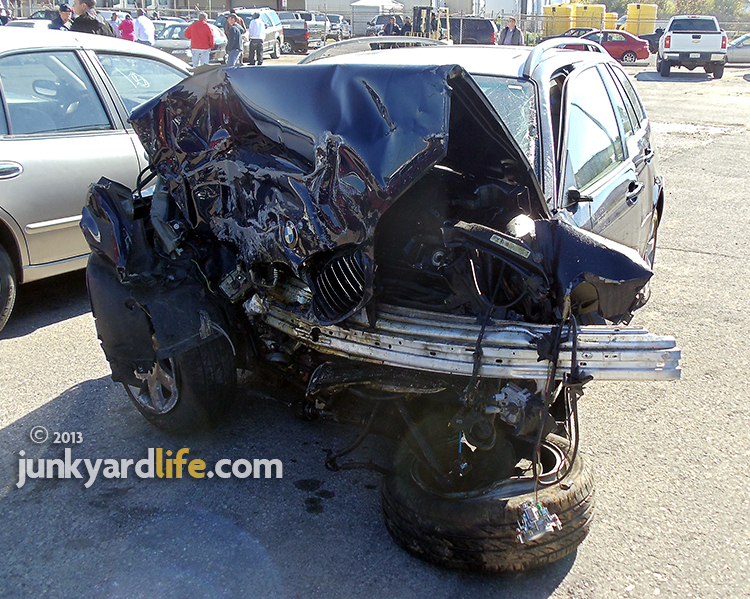 Maybe you should check out real world crash test results at your local wrecking yard? This demolished BWM 325i wagon was recently up for auction at Weil Wrecker in Birmingham, Alabama. Do you think your daily driver could have handle a similar collision better? 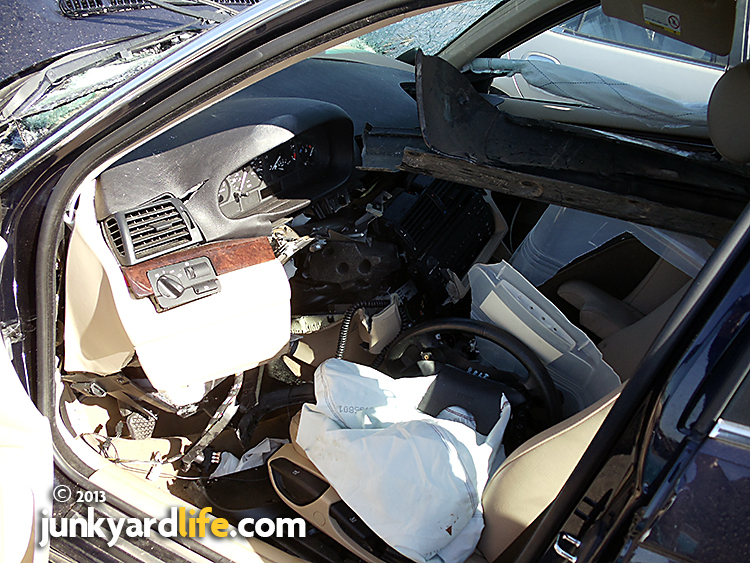 View of the driver's seat in a 2003 BMW 325i involved in a head-on collision. The BMW's inline 6-cylinder engine was shoved into the firewall during a severe, front end crash. Damage was contained to front end of BMW 3 Series. What's up with the white roof on the blue wagon? How well did a wrecked and rolled 1957 Chevy hold up? The 2003 BMW Sport Wagon cost more than $30,000 when new. 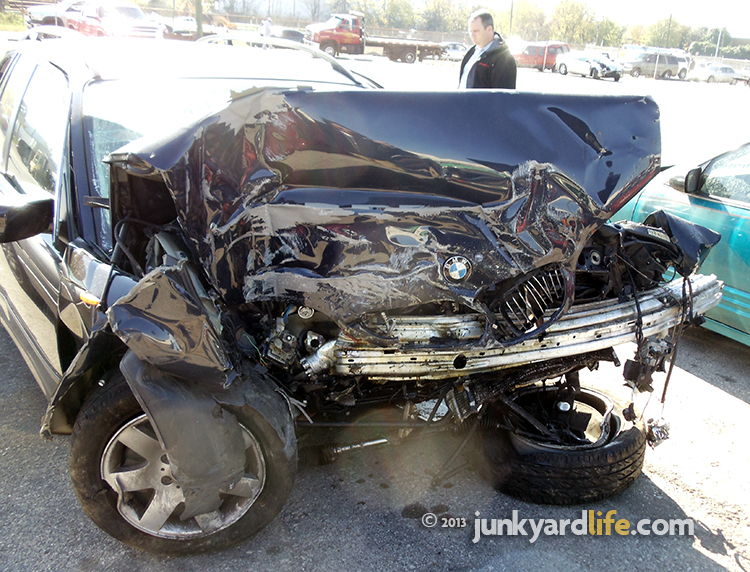 This wrecked Beemer sold for considerably less at auction. 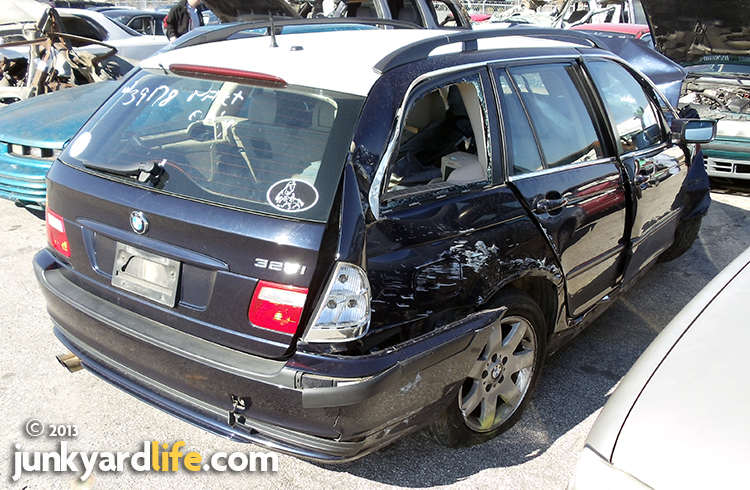 Front view shows the 2003 BMW Sport Wagon's compressed front end after a massive collision. 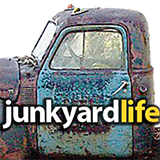 Know of a car or a junkyard I need to visit or want to send me photos and info about a barn find, car or junkyard?